For every monitor review that I’ve done for AnandTech so far, I know that as soon as I check the comments there will be a thread with the same theme: “I don’t care about 1080p monitors, I only want 16:10 aspect ratios!” When widescreen displays first came out for desktop LCD monitors, virtually every model was a 16:10 display. The 20” Dell I have on my own desk is 16:10, and almost every vendor made 16:10 panels. As the price of flat panels dropped and HDTV adoption took over, more and more desktop panels migrated to the HDTV aspect ratio of 16:9. The reasons behind this were easy to understand, as you could produce more displays, reuse panels across PC and TV lines, and have a lower cost across the board to let you sell them for less. Most people were more than happy to pay less for a display than to pay 2-3 times as much for those extra 120 pixels at the bottom of a display. As this happened, 16:10 panels became relegated to higher end models, almost always as IPS panels and often with high end features like AdobeRGB colorspace support and more. 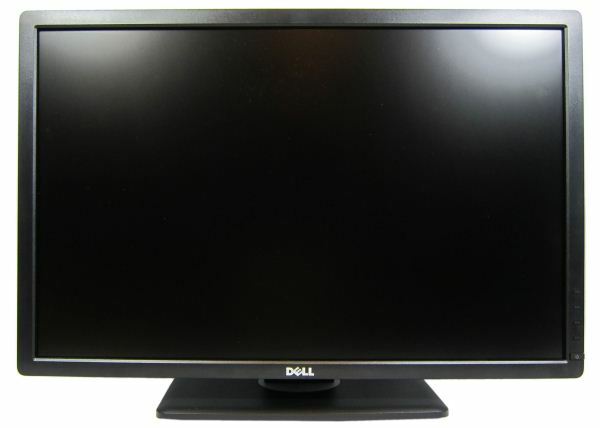 Dell finally decided to address this with their U2412M display that features a 1920x1200 on its 24” panel. The U2412M is also an eIPS panel that is natively 6-bit but uses A-FRC to display 16.7 million colors. 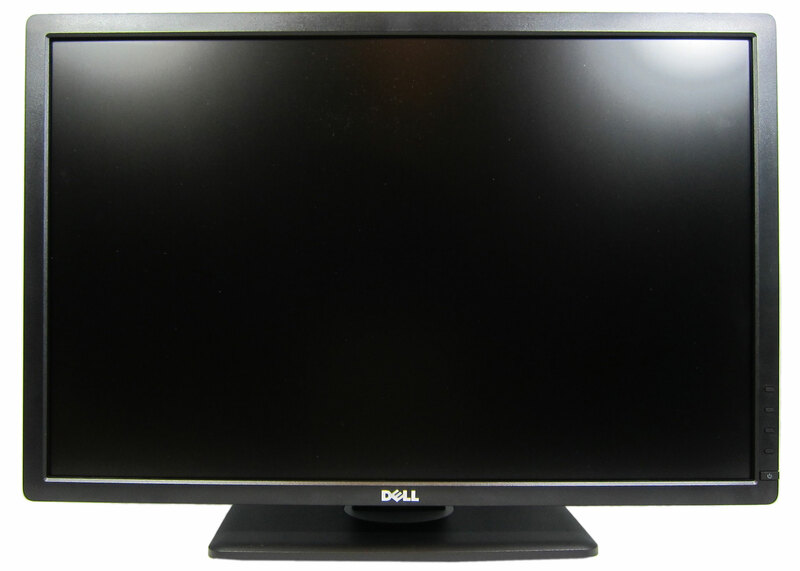 Dell has managed to bring this monitor in at $329 and can often be found on sale for under $300, while most other 16:10 24” panels come in at $500 or more. What did Dell have to do to hit this aggressive price point? Let's find out, starting with the specifications overview. Dimensions w/ Base (WxHxD) 20.22" x 21.89" x 7.10"
The stand with the U2412M is very adjustable, with tilt, swivel, pivot, and height adjustments available to the user. There is a 4-port USB 2.0 hub with two ports on the bottom of the display and two that are more accessible on the side of the display. The one port you might find missing is an HDMI port, but as the HDMI port is trademarked and requires licensing fees, and adds nothing that other ports don’t offer on a display with no speakers, I’m not particularly sad about the loss. Most HDMI transmitter chips are limited to 1920x1080 resolution as well and that would just be another cost that really adds no benefit. DisplayPort is starting to become more and more common now and I’d prefer to see those ports instead. That's what keeps the cost down. You knew it was e-IPS before you clicked, I'd wager, and this is just trolling. Or perhaps you are slightly color blind.